Sometimes we find hope in the most unlikely places. Meet a 5th grader who, against all odds, beat out tens of thousands of other students for a national Sri Lankan scholarship. 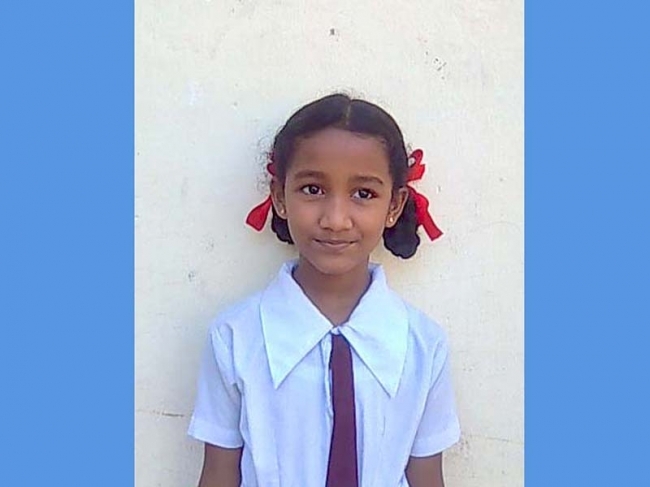 10-year-old Atheefa is different from other students because unlike her peers, Atheefa does not have parents that encourage her to study every night or hug her every morning before she leaves to school. Atheefa is one of the many orphans sponsored by the Zakat Foundation of America (ZF) that have been given an opportunity to shine. The national examination, formally known as the Scholarship Examination, is a means for gifted students from villages to move to better schools with government scholarships. Atheefa’s score qualified her to attend some of Sri Lanka’s best schools, ensuring an education that will benefit her for the rest of her life. Through individual orphan sponsorship, a donor can support a young child who has lost their parents by providing nutritious food, warm clothing, educational opportunities and comprehensive healthcare for a small sum every month. Learn more about our Orphan Sponsorship Program at zakat.org and learn how you can help a bright child like Atheefa today.